Dr Lu graduated from the Sun Yat-Sen University, China with a Bachelor in Western Medicine as well as a post-graduate course in acupuncture and moxibustion at the Guangzhou College of Chinese Traditional Medicine. He then worked as a medical oncologist and a clinical lecturer. 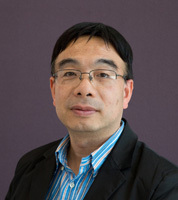 Dr Lu arrived in Australia in 1988 as an observation doctor at the Peter MacCallum Cancer Institute, Melbourne. He has been practising Acupuncture and Traditional Chinese Medicine since 1996. Dr Lu graduated with distinction in the Master of Applied Science Chinese Herbal Medicine at RMIT in 2011 and in 2013 graduated with a distinction in the Master of Applied Science Acupuncture.